​By getting all the families in the communities surrounding the wildlife refuge clear title to their land, the initiative provided each with the security that their investments in sustainability could not be taken from them. This incentivizes investments in long term strategies, such as agroforestry, as opposed to logging or row crops, whose attractiveness hinges on short term profit. The land titles also made it possible for families to access credit. Young people from these communities were trained as nature guides and scientific research assistants. For many this continues to provide a sustainable income and livelihood. For some, this has served as a stepping stone to further educational achievements. 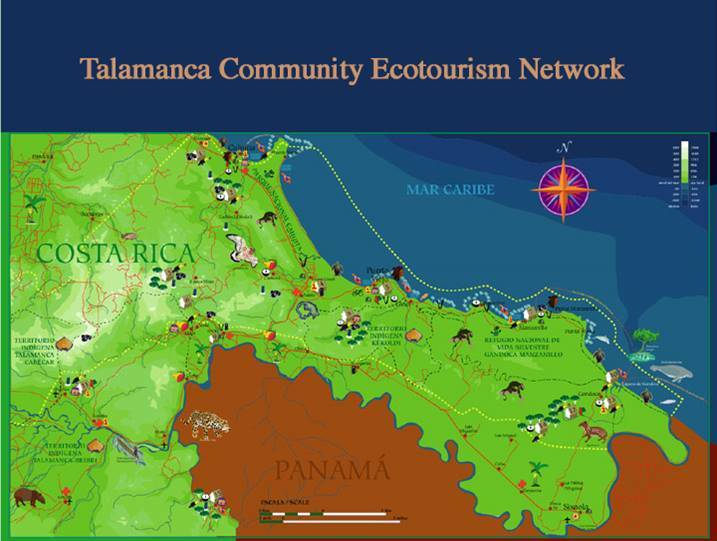 Many families created bed and breakfasts or small businesses to attend to the eco-tourists and eco-volunteers. Each family was able to diversify their farming systems with new fruit tree species. This proliferation of tree crops creates both economic and nutritional benefits, plus all the environmental benefits associated with increasing tree canopy area. Community infrastructure and fresh water systems were built with the neighboring communities. The integrated ecotourism lodge, green iguana management and raptor monitoring programs developed by the Kekoldi Indigenous Community have become a thriving cultural tourism initiative, which continues to provide jobs and a sustainable income for many families.